Servo motor is a rotating actuator that controls the operation of mechanical components in the servo system, making the control speed and position are very accurate. ATO AC servo motors are also brushless motors which with compact design, high performance, fast response, smooth rotation and stable torque. Moreover, ATO gives you unprecedented choice and flexibility from a wide range of standard AC servo motors so you can select the best servo motor for your applications. They come in 40mm to 180mm different square flange size, power rating from 50W to 7.5kW and speed range from 1000 rpm to 3000 rpm. The 50W AC brushless servo motor is 3000 rpm, 0.16 Nm, peak torque values up to 0.32N.m, provide excellent dynamic response, and equipped with a 2,500 PPR incremental encoder. The provided small servo motor price is reasonable, direct sale by manufacturer. 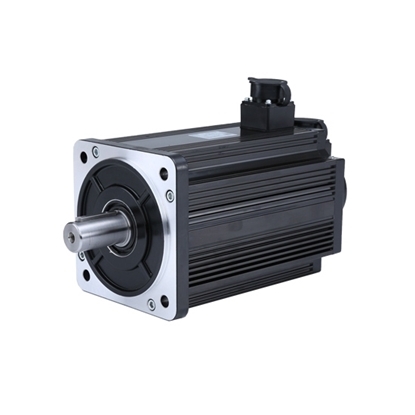 The 0.6A 220V AC high speed servo motor, 100W power rating, rated torque of 0.32 N.m, peak torque of 0.64 N.m, rated speed of 3000 rpm, 2,500 PPR incremental/ absolute encoder attached. Good quality and low cost servo motor, manufacturer direct sale. The offered 3.8 kW (5 hp) servo motor is a high torque servo motor, 220V AC input, with rated speed of 2500 rpm, maximum speed up to 5500 rpm, rated torque is 15 Nm, peak torque up to 30 Nm. Several feedback options are available such as incremental encoder, analog encoder and absolute encoder.